Whether you’ve only been a writer for a few months or several years, you’ve probably heard of Medium. You might even already have an account on the site, but are you using it to its fullest potential? For those not familiar with Medium, it’s a free publishing platform that stands out from some other options because instead of focusing on the connections or clout you have as a writer, it emphasizes what you have to say. Because of this, many freelancers create accounts and start writing on Medium. However, they don’t often see the site as a career-boosting opportunity, and perhaps that’s because they’re not using all of Medium to their advantage. What makes it appealing to write on the site is that it has a gigantic community, which gives you a broad reach. I have found that many industries use this platform as a tool to engage their audiences and boost their brand exposure by providing informative blog entries. Also, the formatting of each post is easy to upload and read while looking professional. For instance, as a blogger, formatting codes — mostly in HTML — is a skill that I have always had to know. Unfortunately, coding your own blogs can take quite some time if you don’t excel at using it. However, with Medium’s professional setup and formatting, it’s easy to quickly add your text, edit, and publish it to your social media accounts within a matter of minutes. This is just one of Medium’s many benefits for freelancers. Below, you’ll find several more ways you can use this go-to writer site to your benefit. In addition to its easy user experience, you might find that it can promote your brand and solidify your status as a writer. Medium offers a feature that allows you to leave a private note associated with a section of an article by another author. To use it, highlight a portion of text and then look for the lock icon and click it. If you don’t see the lock icon, the author has disabled private notes in the Settings section. The example above that I wrote to another Medium user will alert them unless they disable their notes. Using this feature allows comments to be made for text requiring edits, such as improved clarity, revision, or expansion. This networking capability has consistently helped me enhance my posts without using time-consuming emails, adding to my productivity as a freelance author. In this way, Medium can also be used as a kind of networking site for writers that allows them to build relationships with one another. Because Medium is a popular platform for those who appreciate writing and reading well-formed opinions, it offers abundant opportunities to become a thought leader on Medium. You can browse Medium’s themed channels and find articles related to your interests that get high levels of engagement. Then, analyze them to determine how they excel. Components like headlines and paragraph lengths could help you to make significant impacts on click-through statistics. In addition, I’ve found that it’s helpful to come up with a post frequency schedule. You should always aim for quality over quantity, and when picking topics, come up with fresh angles when possible. Don’t be afraid to express minority viewpoints, especially if you can back up opinions with scientific research. The stats link in the right sidebar of the Medium interface gives information about which of your posts generate the most interest. Most people know about the views metric, which indicates how many individual visitors saw each post. However, the “Referrers” section is one you might not have investigated yet. After clicking the “Referrers” button below a story title, you’ll see a breakdown of how many viewers found your post via a particular method. With this feature, it’s easy to focus on career growth by adjusting your branding tactics for maximum reach. As an example, if it becomes apparent that half your traffic for a given story came through Twitter, that’s a definite sign you should prioritize your engagement on that platform. In contrast, if the majority of those referrals came from email links, this could indicate your newsletter is working well. Unlike some publishing platforms, Medium does not require original posts. Instead, you can quickly add articles you wrote that initially appeared on other sites, which lets you demonstrate your capabilities as a writer. This is also a great way to send visitors to your personal blog or other outlets you write for. Just include a link back to the originally published article in your post — I do this with all of my posts for my blogs. To quickly add existing posts to Medium, click your user icon, go to the “Stories” section and choose “Import.” Paste the URL of a story into the provided field. Then, click “See Your Story” to edit it. One time-saving thing about this feature is it automatically assigns a canonical URL to the story that references the source. Want to save even more time? Medium also has a WordPress plugin that automatically syndicates your blog posts to Medium. In March 2017, Medium launched a subscription program that costs $5 a month. Also known as the Medium Partner Program, it gives authors the chance to earn money for their stories. With this program, subscribers can add exciting stories to an offline reading queue and see content unavailable to regular site users. You’ll receive payment based on the number of claps your posts get and the amount of time viewers spend reading the content. In other words, the people who pay the monthly fee use their engagement levels to influence how much money you receive. Stripe is the payment distributor, and Medium sends revenues each month. 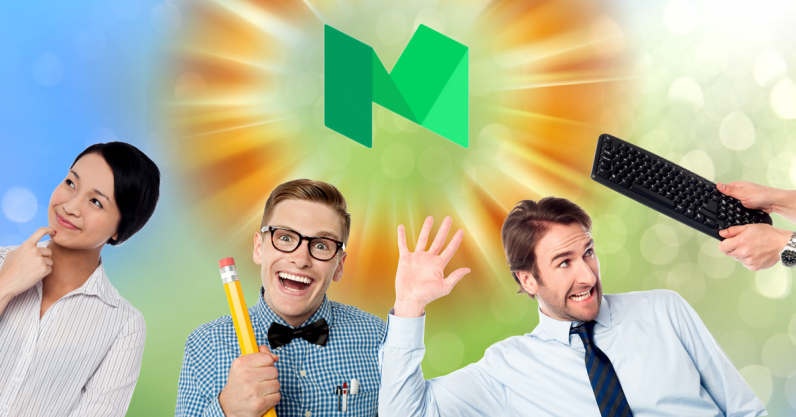 All authors can take part in the Medium Partner Program. However, you can still post free content for everyone to see. If you’re ready to try making money by writing, though, Medium’s paid opportunity is a good start for taking your career in that direction. Medium lets content creators license their works under any of the Creative Commons options. Those that require attribution open up the possibility for others writers or publications to share your work and grow your prominence. Some sites rely on Medium when they lack enough original content. So, Creative Commons license is an easy way for writers to increase their chances of getting syndicated. As you can see from these tips, there are strategic moves to try as a freelance writer on Medium. By experimenting with them, you may discover career benefits you hadn’t even imagined, increasing your motivation to continue improving.